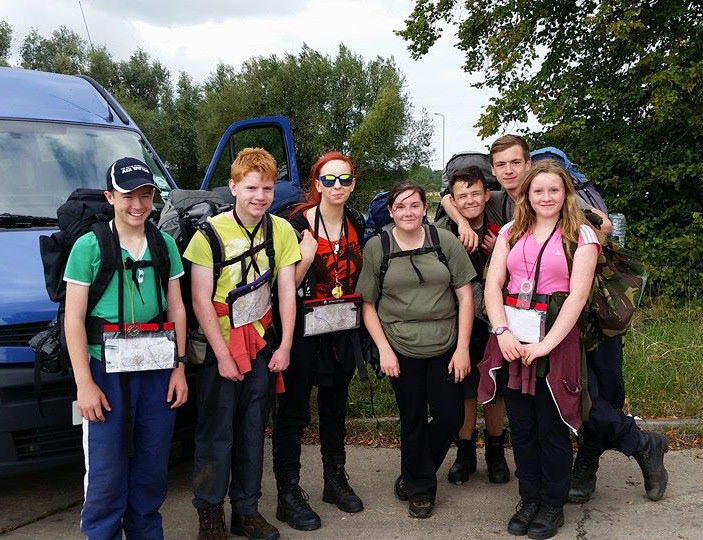 Seven air cadets from 1220 (March) Squadron recently took part in expedition in Bedfordshire. 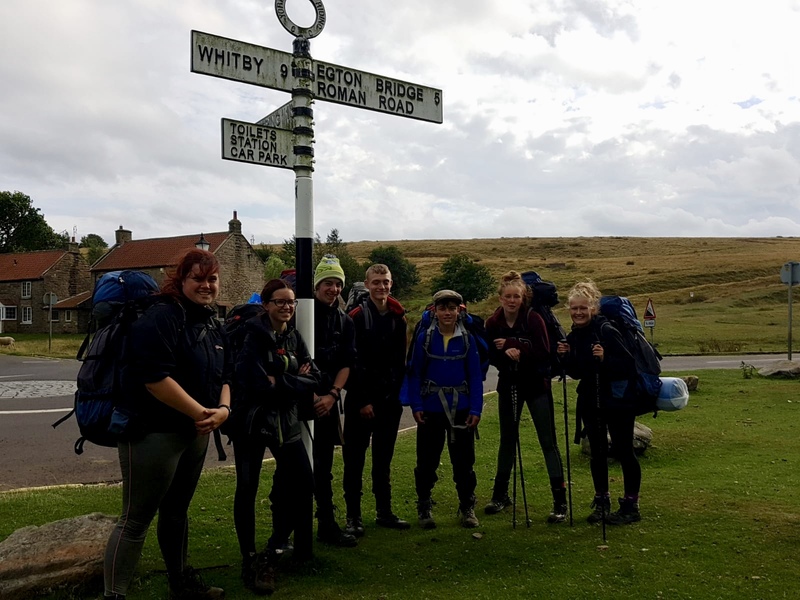 For three of the cadets who took part, this counts towards the expedition section of their award; the other four took this opportunity to improve their skills in preparation for their assessed expedition next year. The route started at Great Brickhill in Bedfordshire and took them towards Woburn. They walked through the Woburn Abbey deer park and camped at Milton Bryan. On the second day they walked along part of the Greensand Ridge walk to finish near Flitwick. The cadets found the Milton Bryan campsite particularly interesting because a building on the site was used as a radio station, which was used to broadcast false information and misleading propaganda into Nazi Germany during World War Two. All seven cadets carried everything they would need for the two days, including their tents, cookers, food and spare clothes. They cooked and ate their own food, which consisted of breakfast, and a sausage, pasta and sauce concoction for evening meal. This entry was posted in DoE on 15/10/2014 by SGT Kightly RAFAC. 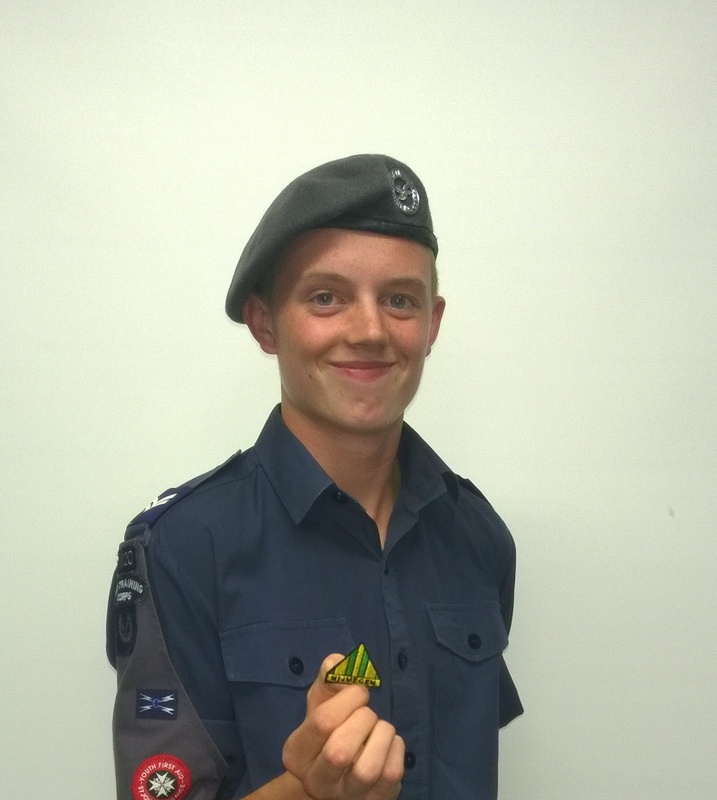 Alfie Jaggard (16), an air cadet from 1220 (March) Squadron, has recently returned triumphant after completed the gruelling 100 mile Nijmegen road march in Holland. The “Vierdaagse” (Dutch for “four-day event”) is an annual walk that has taken place since 1909, and has been based at Nijmegen since 1916. There are different routes to take part in, with Alfie and his team completing 100 miles over four days. Numbers have risen in recent years, with over 40,000 taking part; it is now the world’s largest walking event. Many participants take part every year, including several that have taken part in 50, and even 60 different annual marches. Each day of the marches is named after the biggest town it goes through. Tuesday is the day of Elst, Wednesday the day of Wijchen, Thursday the day of Groesbeek and Friday the day of Cuijk. On the Friday, as participants near the finish, spectators award the walkers with gladioli, a symbol of force and victory since Roman times. 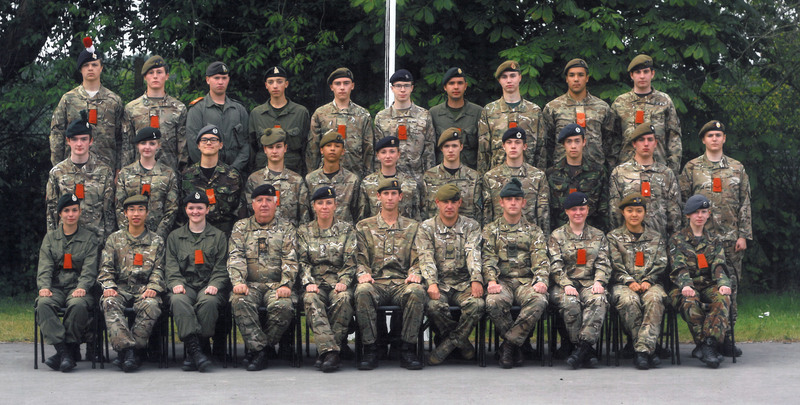 Bedfordshire and Cambridgeshire Wing takes part in the marches every year and 2014 proved to be yet another successful year, with everyone completing the route and earning the coveted “Vieradaagse Kruis” medal. During their time in Holland, the team was able to pay its respect to those that lost their lives in Operation Market Garden, laying a wreath at the Arnhem Oosterbeek War Cemetery. The success was the culmination of eight months of intense training including completion of the Waendel Walk, which takes place in the area around Wellingborough covering over 52 miles. This entry was posted in Adventure Training on 20/09/2014 by SGT Kightly RAFAC. Recently, Cadet Sergeant Chanel Ogden (17) from 1220 (March) Squadron Air Training Corps attended the Cadet Leadership Course at Frimley Park Cadet Training Centre. Chanel was one of only three cadets from Bedfordshire and Cambridgeshire Wing to complete the course this year. Chanel’s course photo. Chanel is first from the right at the front. Throughout the week, Chanel was assessed on various aspects of leadership including physical robustness, confidence and teamwork. These aspects were assessed in activities undertaken throughout the week, such as two log runs followed by an obstacle course, command tasks, orienteering and a two-night fieldcraft based exercise. All these activities made the week physically and mentally demanding for all cadets on the course. On the second day of the course, Chanel was appointed the role of Platoon Sergeant. Chanel was required lead other cadets undertaking platoon attacks, an aspect of fieldcraft Chanel had never undertaken before. However, she was commended on her efforts. Chanel thrilled to find out she passed the course with the overall grade ‘average’ and achieved ‘above average’ in three of the seven assessed aspects. This entry was posted in Fieldcraft on 19/08/2014 by SGT Kightly RAFAC. Last Monday, eleven cadets and two members of staff from 1220 (March) Squadron took part in television coverage by ITV Anglia commemorating the centenary of the start of World War One. Cadet Corporal Joe Goodman playing the Last Post for the film crew. At the event, Cadet Corporal Joe Goodman (16) played the Last Post which was later shown on the ITV coverage of the event. Joe had been awarded Best Solo Bugler at the recent Wing Music Competition and responded to the event coordinator’s search for a bugler. 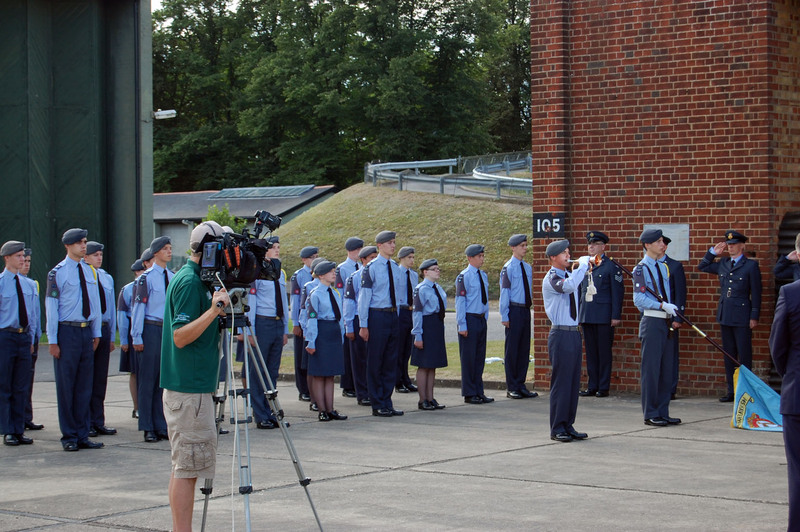 Other cadets were also keen to take part and formed the background for the telecast. The cadets were immensely proud to represent today’s youth in remembrance of the sacrifices made 100 years ago by service personnel around the world. This entry was posted in Other on 05/08/2014 by SGT Kightly RAFAC.